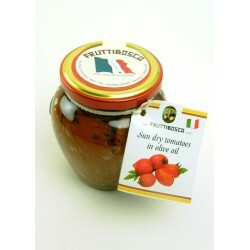 Ingredients: Tomatoes, olive oil, wine vinegar, salt, natural aromas. Specially selected to be sweet and tender, these sun dried tomatoes are individually hand bottled in good quality Italian olive oil. 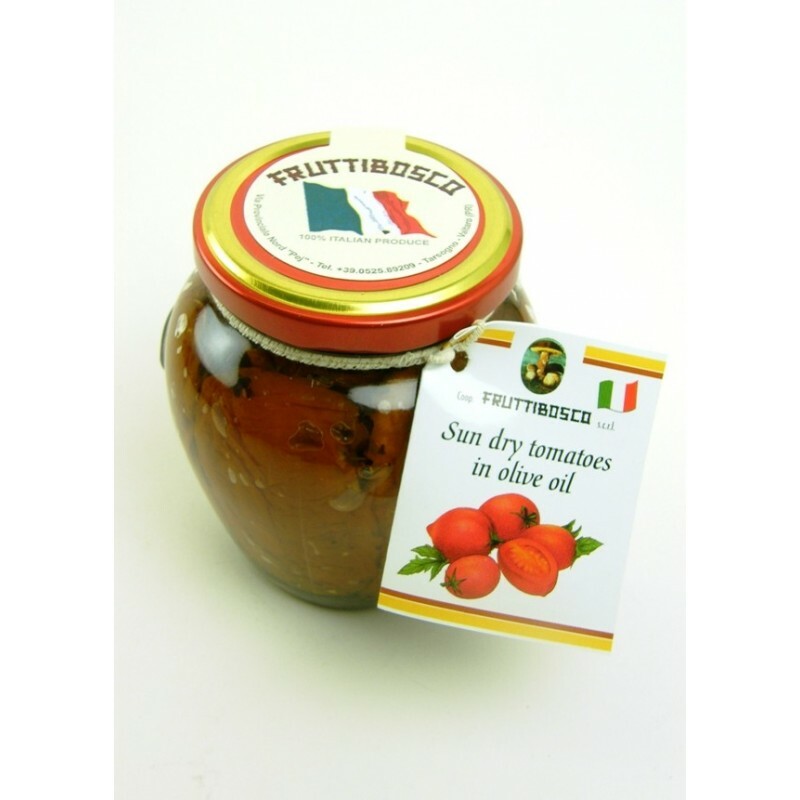 Delicious in a salad, diced into an omelette or added to any tomato sauce to add flavour and depth. They are also very good on just on their own with a slice of good bread.